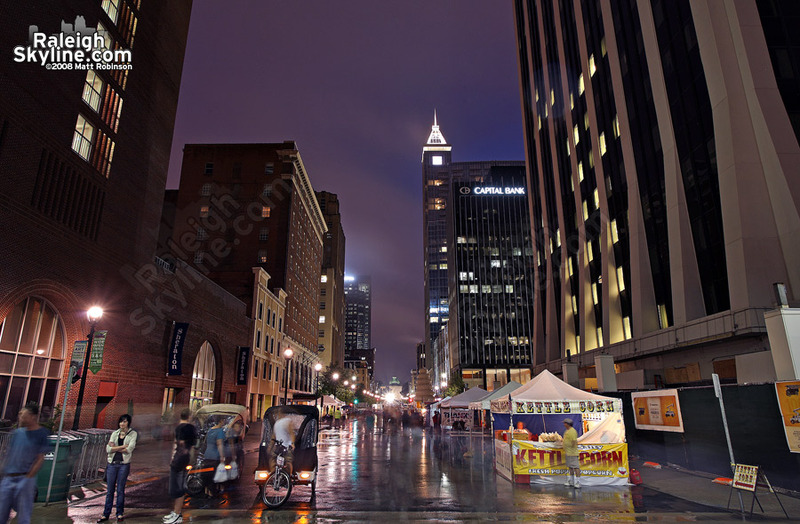 Raleigh Wide Open Three was spread out over two days, Friday being all but washed out due to wind and rain from Tropical Storm Hanna. 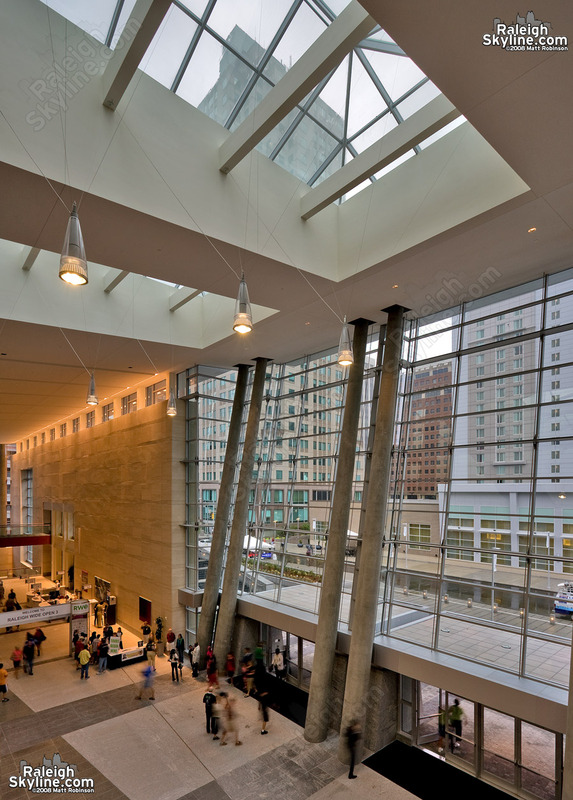 The brand new Raleigh Convention center was open for viewing, as well as hosting the 2008 International Festival. 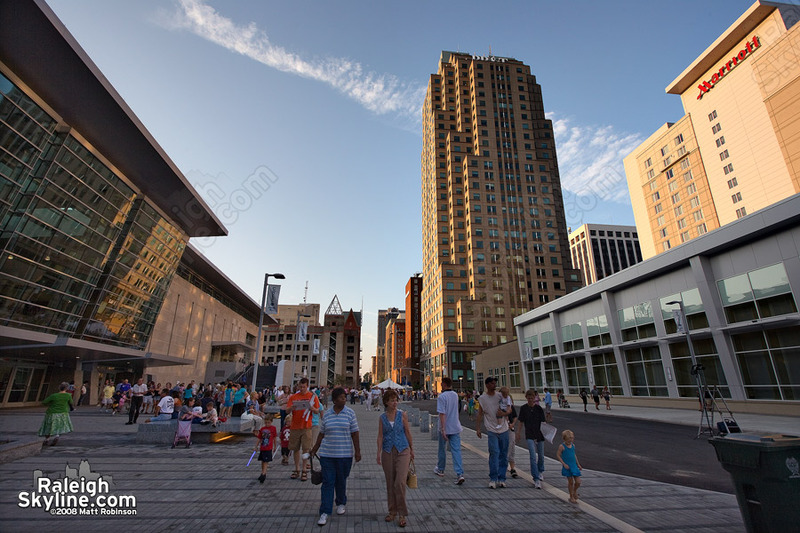 People walk along Salisbury Street checking out the new Raleigh Convention Center. 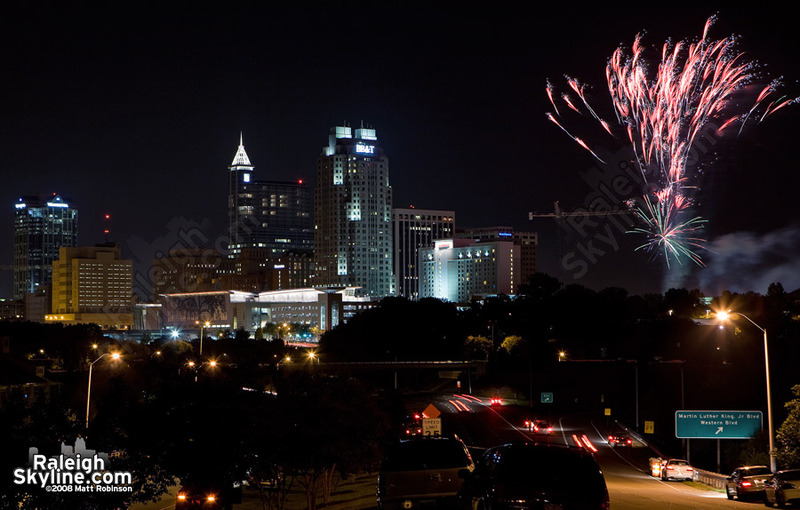 Fireworks over the city during Raleigh Wide Open 3. 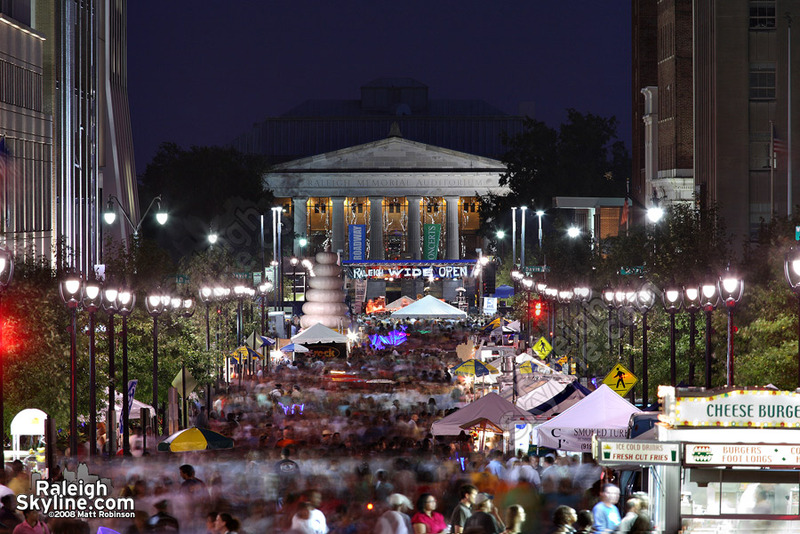 Busy Fayetteville Street on Saturday during Raleigh Wide Open. 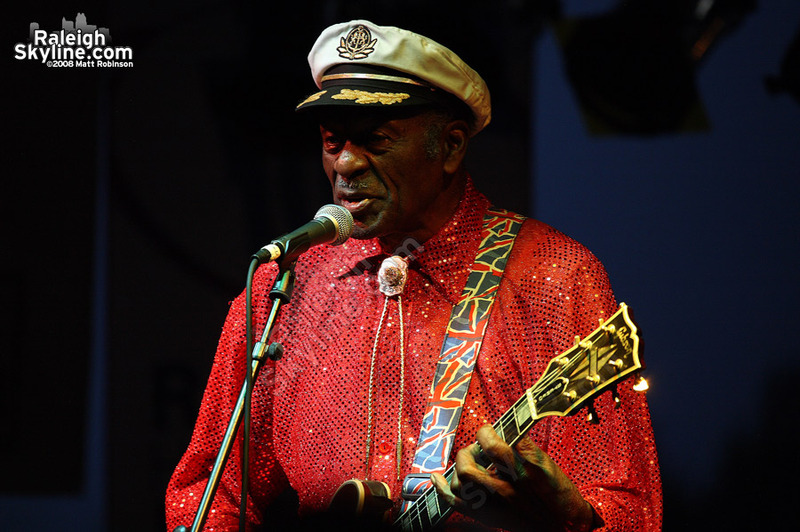 Chuck Berry performs at Raleigh Wide Open during TS Hanna rain bands. 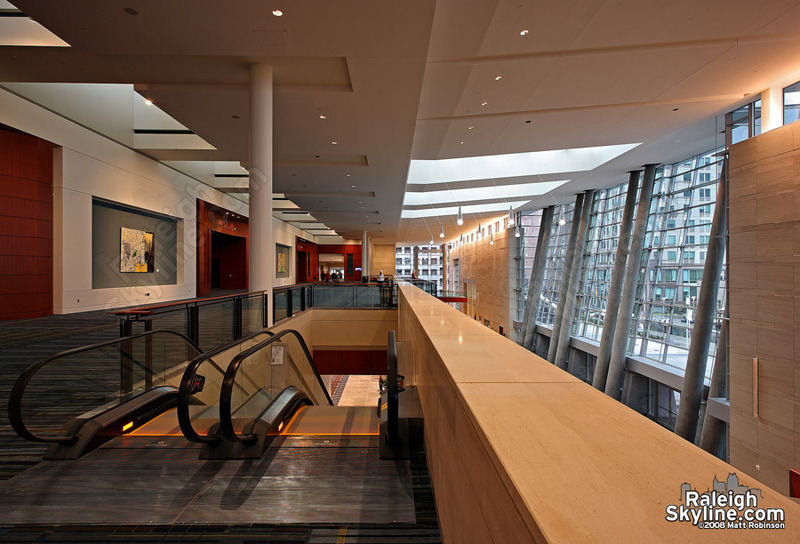 Upper level of Raleigh Convention Center. 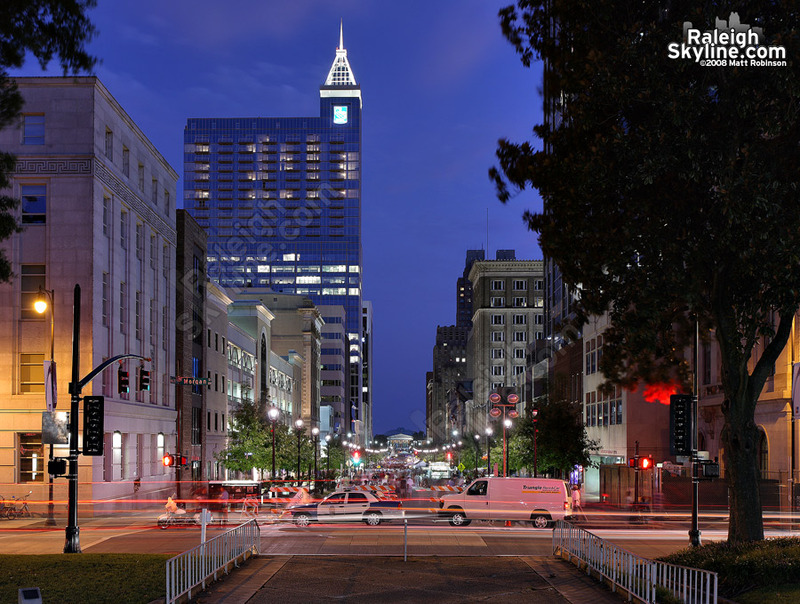 Evening at Raleigh Wide Open. 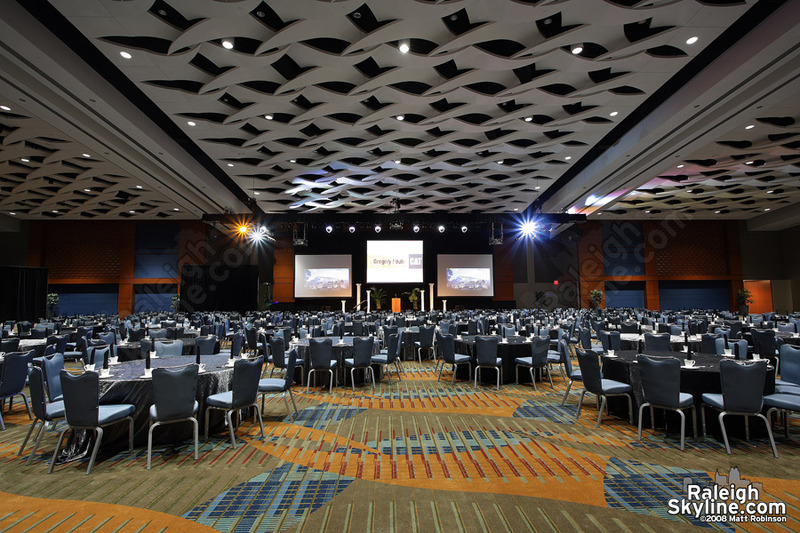 One of the ballroom’s at the Raleigh Convention Center. 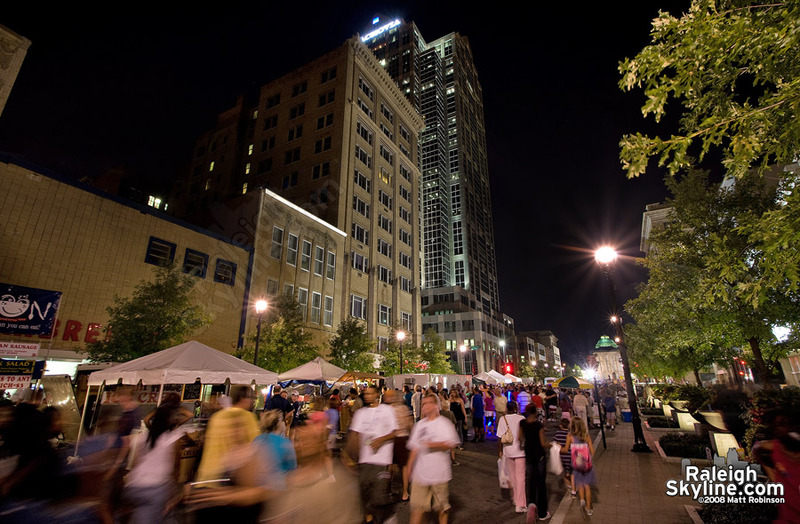 Fayetteville Street flows with a river of people. 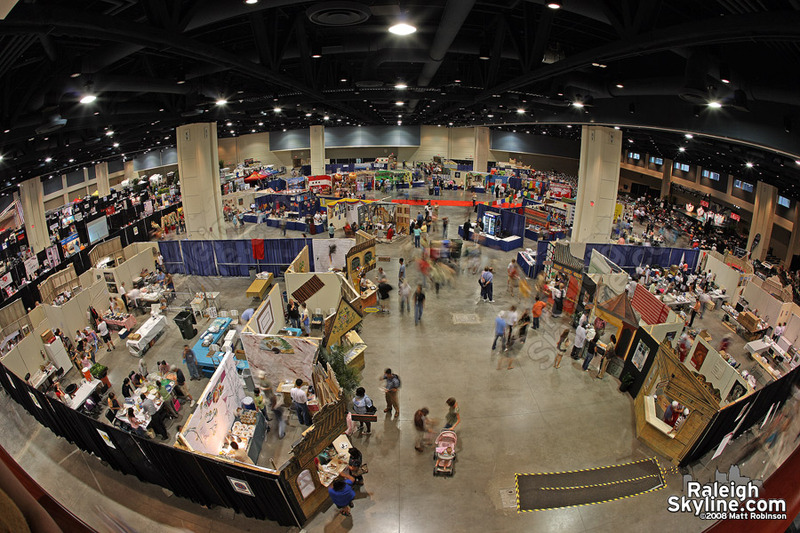 Main exhibition space at the Raleigh Convention Center, set up as the International Festival. 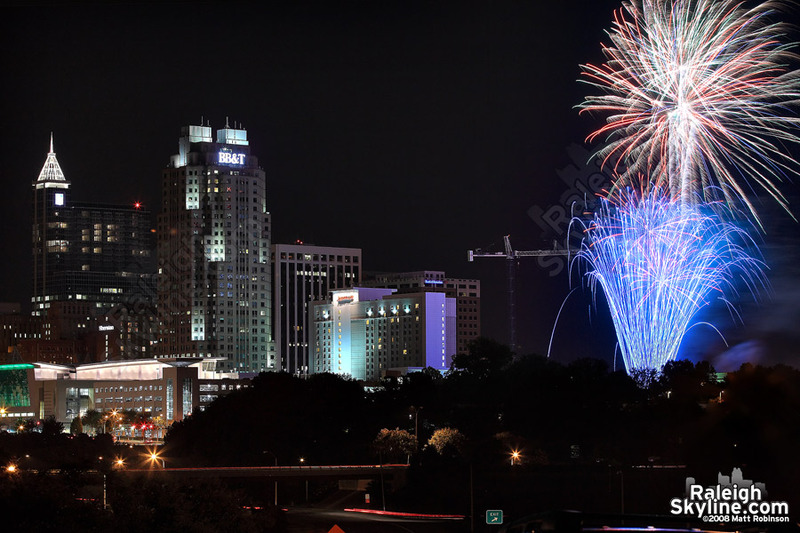 Red and Blue fireworks over the city of Raleigh. 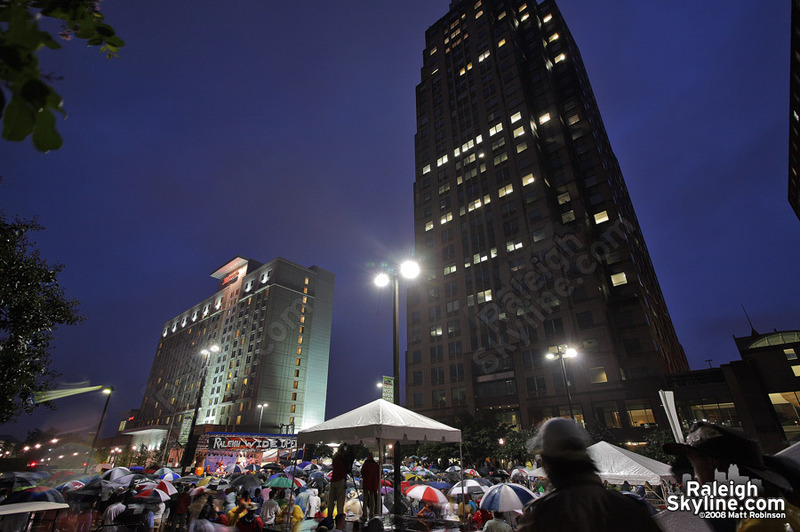 Umbrellas nearly outnumbered people on Friday night at the main stage. Two Hannover Square towers over soon to be city plaza squareRaleigh Wide Open. Main entrance of the Convention Center. 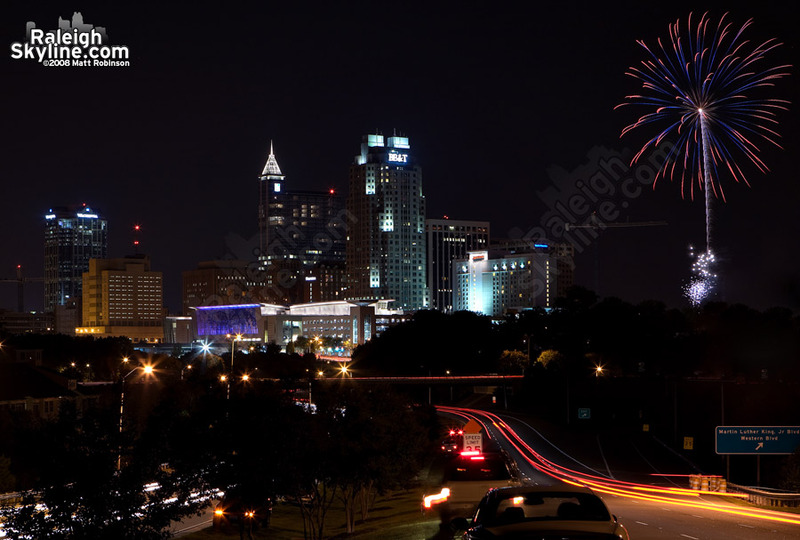 Fireworks during Raleigh Wide open. 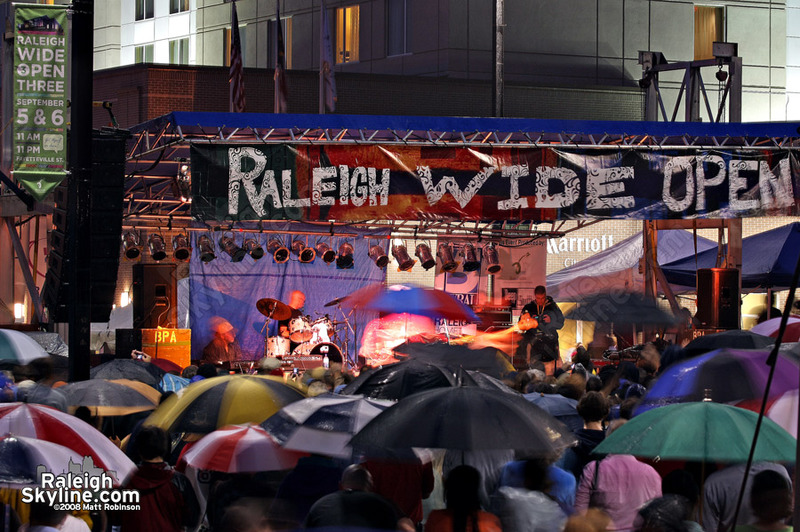 Rained out Raleigh Wide Open. 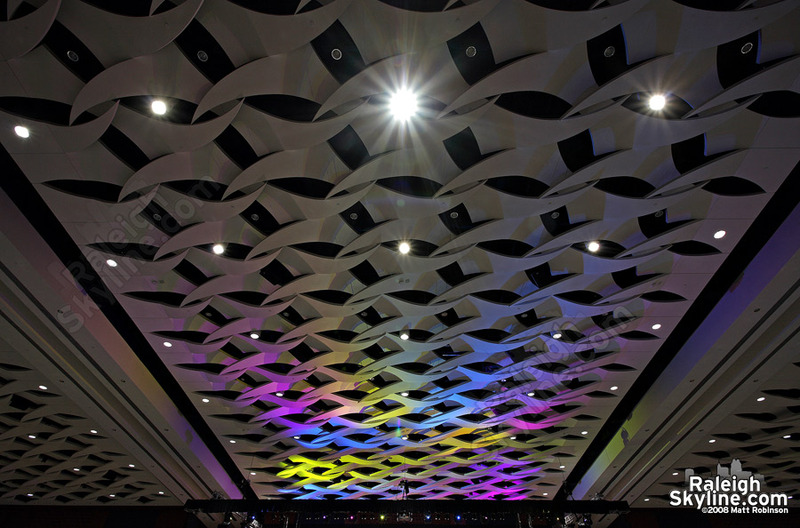 Ceiling of Ballroom A at the Raleigh Convention Center. 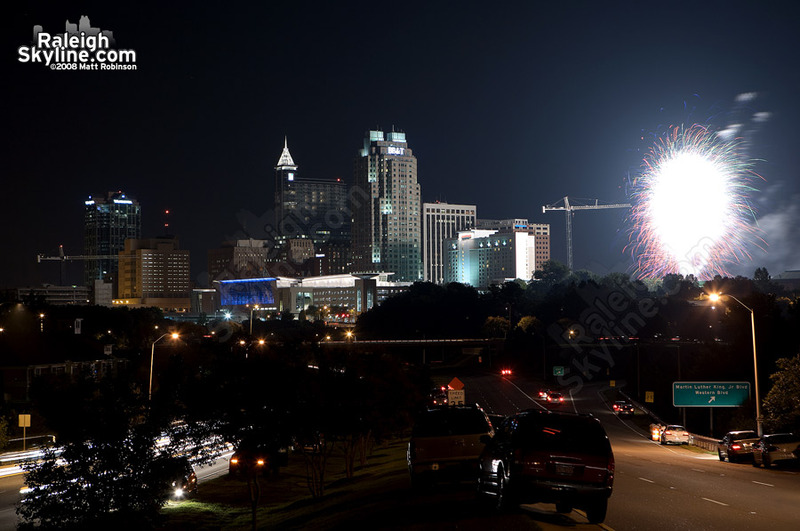 Fireworks finale at Raleigh Wide Open Three.